It’s always interesting, the idea that your lineage would have a symbol for them and you. What would yours be? Everybody would like to think it would be as awesome as a wolf or dragon but somebody’s got to end up with an open palm holding flower petals right? Well this isn’t giving a sigil to types but typing the houses already in play in Game of Thrones. What are the proud Lannisters and the secluded and stubborn Greyjoys? See if you agree. ISTJ is fitting for Stark not only because I’ve typed Ned and Robb as such, but more because the cold and dedicated nature of the family fits ISTJ as well, a type often described as dutiful. Solitary and calm, if the ISTJ is left to their own devices, you’ll know a happy person. Interrupt them however, and God help us all. The Stark House is this way as well, preferring to be left alone to an environment that most find unsuitable but fits them nicely. A wolf is also a nicely fitting animal for the house as well being that ISTJs need their solitary time but can also be social creatures- but it needs to be on their own terms. 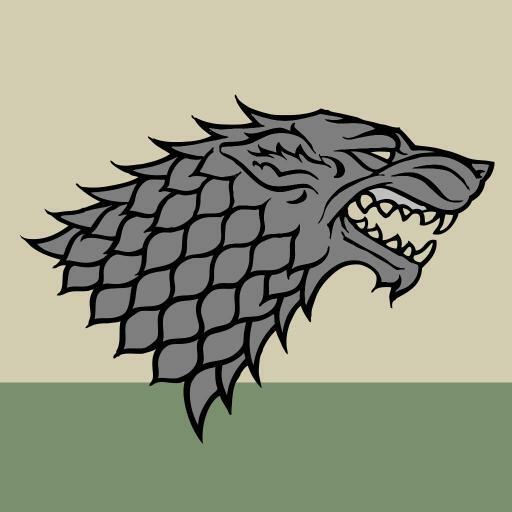 The house of Stark gets along with its neighboring families but isn’t to be take lightly when offended, as we’ve seen throughout the stories. ESTPs are all about gaining the upper hand though keeping it can be a bit of a challenge. Headstrong and full of confidence (Some would say arrogance), the name and the sigil are fitting for the take-charge ESTP, one of, if the the most competitive type. Featuring several main cast members, the Lannisters are a family that leaves an impact on you. Whether you hate them or love them, you’re not going to forget them. ESTPs often have the same effect on those around them, preferring to let their actions and words speak for their personality and leaving those in their wake to figure out how they feel about it. There is hardly any middle ground for these guys as they either put everything have into what they’re doing or they ignore it altogether. There isn’t a more confrontational house in Westeros and the ESTP can appear that same. It’s almost as though times of peace are more torturous for the family than fighting to keep their position of power. When the Baratheons do something, they do it loudly and aggressively. 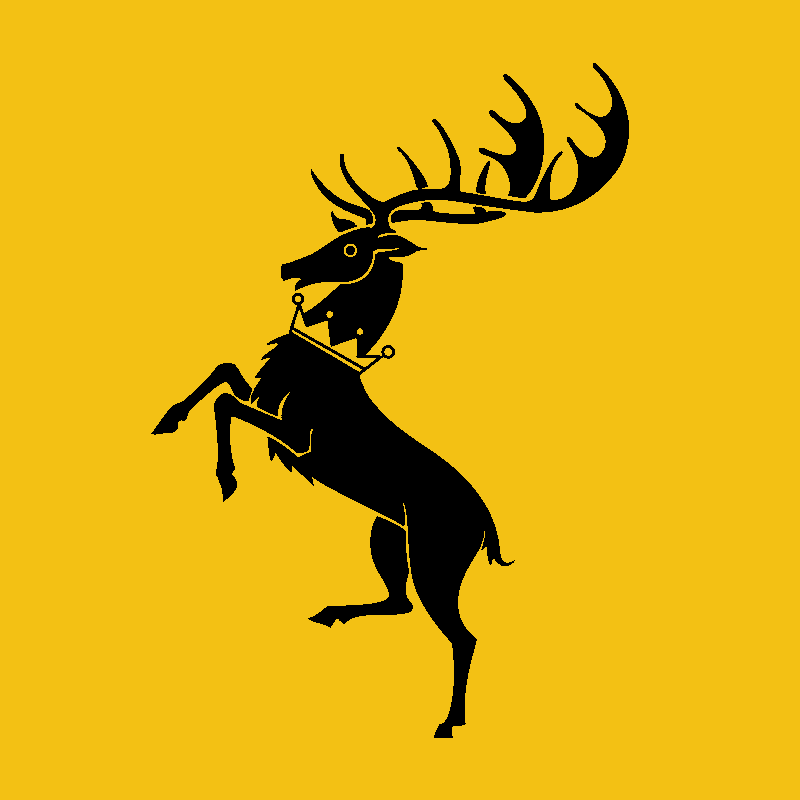 From Stannis’ forces to Robert’s lifestyle, when a Baratheon is around, everyone knows it. It only furthers the idea when you look at the role of every Baratheon in the show being one of an authoritative stance. Renly was the closest Baratheon to being a pushover and still, there’s no indication that he was one, just rather less demanding in his overall resolve. ESTJs are much the same in that to be in charge comes natural to them while getting people to band together is a different matter entirely. While it’s true that ESTJs don’t mind telling people what to do, the followers of an ESTJ may be as divided as the house of Baratheon is; submissive but scattered. The Lead Te of an ESTJ with inferior Fi can make for a demanding and harsh user. A family couldn’t be more polarized, could they? While the Mad King and Viserys had some issues to work out, Daenerys and Aemon are the kind of people you’d want to rub shoulders with. You could compare this to the seemingly bi-polar personality of the ESTJ who, with inferior Fi, can be your best friend or your worst enemy. Either way, they’re probably your boss at work and you’re going to have to listen to them but just hope you get the happy side. All this and not to mention the fact that all Targaryens end up ruling to some extent or another. Be it Castle Black or the Dothraki, a Targaryen presence means a Targaryen ruler. 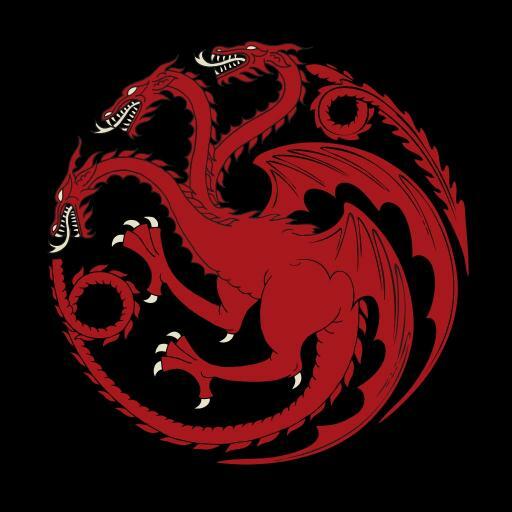 This would seem to go without saying, but not all members of all families necessarily want to be in charge, while the Targaryens live for it. I can’t help but think that the vulture fits the INTJ personality and that those tie into the Boltons. Sneaky, a little creepy (whether they mean to be or not) and quite opportunistic, the Boltons took their chances when they became available and the rules of morality didn’t concern them a bit. While power is something all strong Te users crave to some extent, there’s a major difference to how far an individual will go to get it, with some being more willing to circumvent laws and the protocols of others. INTJs aren’t all this way, but many will gain a reputation for sneaking in the background, doing whatever they feel the moment calls for rather than taking others into their consideration. Nobody is as hated more than Ramsay but nobody can say Roose doesn’t know what he’s doing. Here’s a seemingly softer side to the majorly cold-hearted houses, albeit trickier and with more unique tactics than simply starting a war to get what they want. ENFP is fitting for the Tyrells in that the heads of the house seem to be bigger fans of using finesse and discussion to come to an agreement and we all know ENFPs can talk their way out of most situations they talk themselves into. 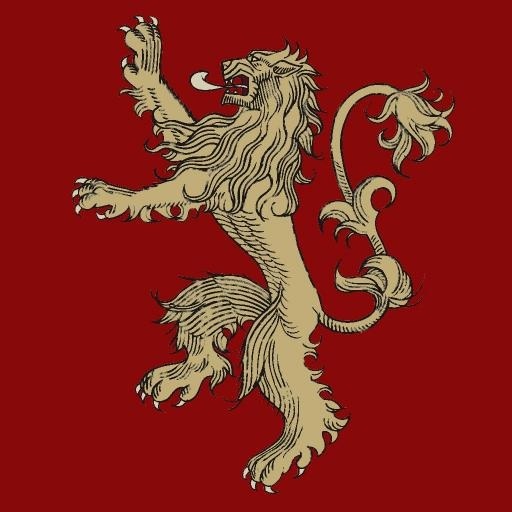 And with auxiliary Fi, you’ll find that ENFPs on average actually care about the people they’re talking to, as the Tyrells have been shown to do at various moments throughout the series; a far cry from the majority of the houses who seem to only focus on their own power and gaining more. 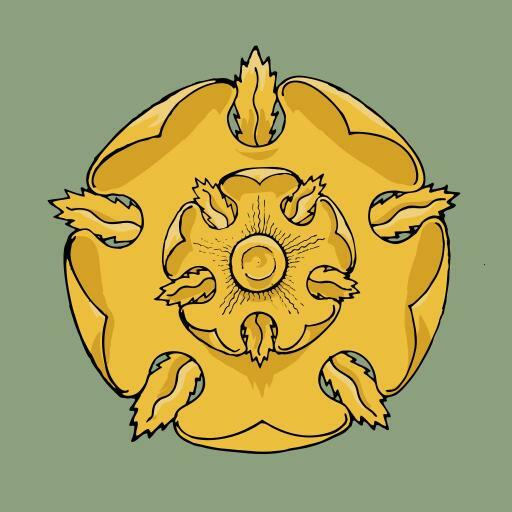 With Margaery subtly undermining Cersei, Lady Tyrell helping to poison Joffrey, and the males of the house doing their own thing in…”offbeat” ways, ENFPs seems to be the best fit for a softer yet cunning house. Ruling over the Iron Islands, House Greyjoy is the uglier side of the ISTJ; far past stubborn, they’re like the old man in Apocalypse movies that refuses to leave his house even though he can see the aliens blowing up everything in their path. 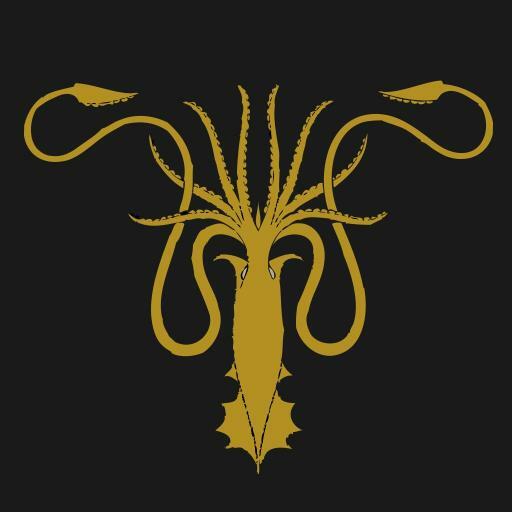 As you’ve seen with the Starks, ISTJs have plenty of admirable qualities but if you’re familiar with House Greyjoy, you can see where this is going. If there’s one place in Westeros you wouldn’t want to live, it would be the Iron Islands. Everything is grey, dirty, and it always looks like a storm is either coming through or has just passed. This is somewhat reminiscent of certain ISTJs that not only stick to only what they know, but spit on others who behave any differently even their own way of life is a slowly destructive one. Way off in their own corner of the world, the Dornish don’t bother others and don’t want to be bothered. But if it happens, everybody is going to pay. 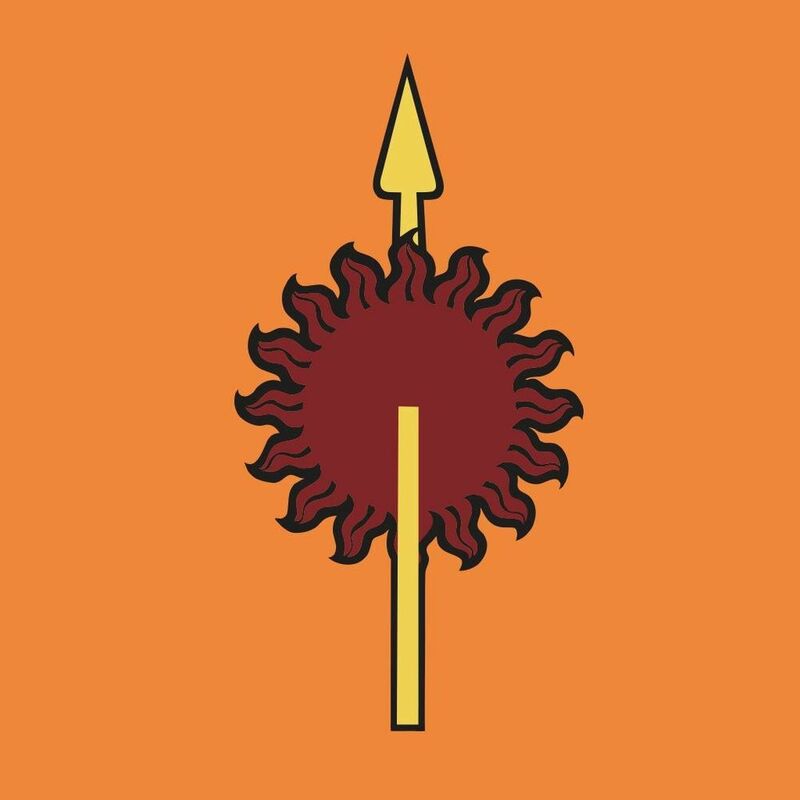 Similarly to the Starks but inversely at the same time, the house of Martell is a family that lives life to the fullest and only holds back when they feel its to their advantage. The hot environment the Martells reside in seems fitting as well. ISTPs are the type to be just as soon in the crowd with friends as they are off by themselves doing their own thing. When we meet the House of Martell they seem to fit in King’s Landing as well as anyone else, yet they hadn’t appeared until much later. Mysterious, fun, and adaptable, and deadly, the Martells fit the ISTP stereotype well. This entry was posted on 06/19/2015 at 1:02 am and is filed under MBTI Artisans, MBTI Guardians, MBTI Idealists, MBTI Rationals, MBTI Stuff, MBTI Whatever with tags A Song of Ice and Fire, Baratheon, Bolton, enfp, estj, ESTP, Game of Thrones, Greyjoy, intj, istj, istp, Lannister, Martell, Stark, Targaryen, Tyrell. You can follow any responses to this entry through the RSS 2.0 feed. You can leave a response, or trackback from your own site. After reading through this blog, why do I get a feeling an INTJ stole your gf? An INTJ would probably try to sabotage a relationship. ESTPs are the ones who usually steal. An INTJ with a girlfriend. Ha! Good one. Ah, just playing. The rest of the internet can spend their time talking about how great INTJs are with no other facets. This site is more about the positive and the negative. Heisenberg, Batman, Doctor Doom, Lisbeth Salander- read a little more. Everybody knows the ENTQ are far superior the INPW. Everyone else is just an idiot. False. ENTQ is obviously the worst of all types. The fact that you don’t understand this is reason enough to ban you. Are you sure about Greyjoys? They are pirates after all. I’d still say ISTJ. Real products of their environment those guys and the Greyjoys live in a cold and unforgiving terrain which can easily lead way to a family that’s a reflection of that. Not saying Theon or his sister is though of course. What do you think if not ISTJ? A perceiver of some kind? I enjoyed this post being a Song of Ice and Fire (Game of Thrones) – fan and with a certain, newfound interest in the mbti. However, I should also say that “House Bolton – INTJ” caught my eye quickly because of the fact that I tested as an INTJ and I heavily relate to the type. However, I want to know why I am or may not be an INTJ which led me to this site. I appreciate your honest input when it comes to the types because then I get both good and bad characteristics instead of only having the often idealized mbti-portraits when trying to figure out my type. I also relate heavily with the INTP-type and I am even considering ISTJ even if I hope that isn’t the case if I should be brutally honest. But then again, I would rather find out that I am an ISTJ so that I can learn to know myself better than irrationally lying to myself wanting to be something I ain’t. Your input or a discussion about my type would be appreciated if you have the time, I understand that you may not be able to give me a -mbti-type with a 100% certainty but if you can point me in the right direction it would be helpful. 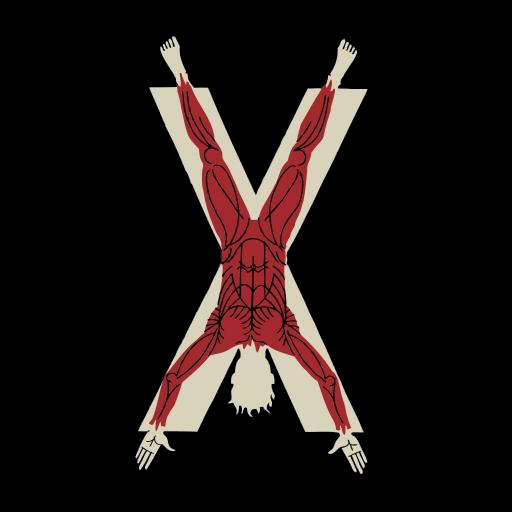 I would say that I’m an IxTx, probably INTx but I may have overlooked some facts. I was totally off, ENFJ here. In your opinion what house would entp be?